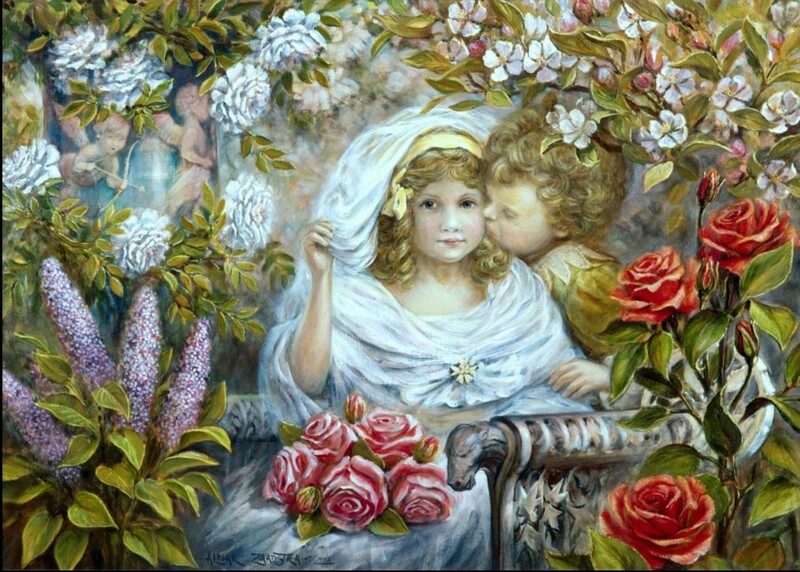 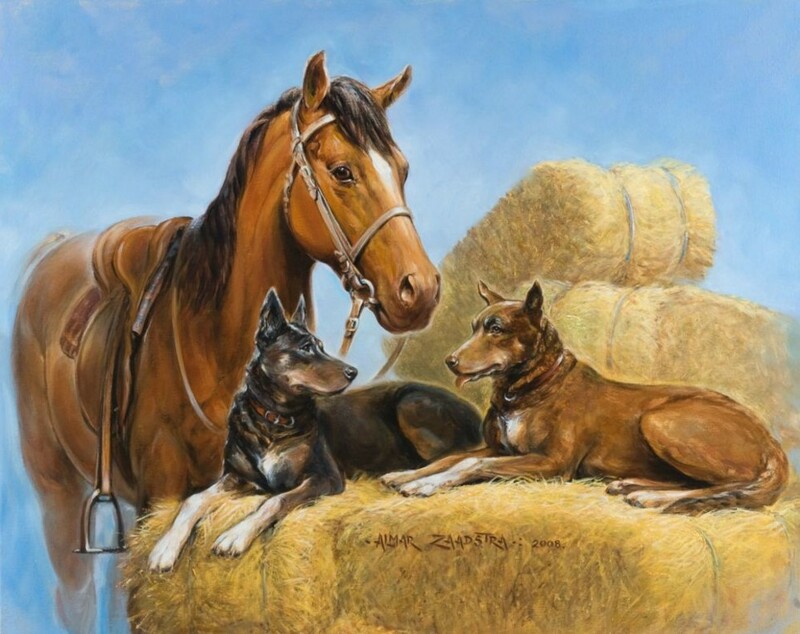 The artist Almar Zaadstra, born in 1960, grew up in an artistic family and has been painting in oils since his school years, deciding early on to make it his lifelong profession. 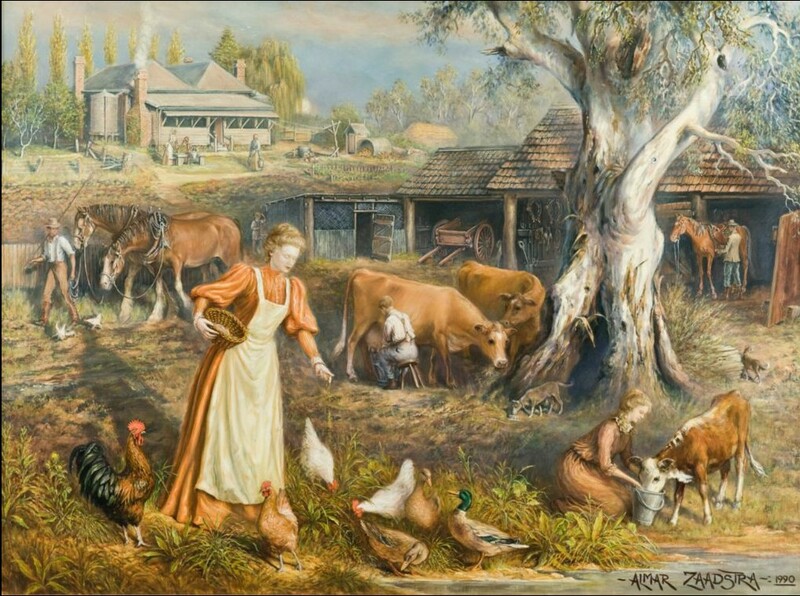 Strongly influenced by Australian art and history, and newly married to Judith, the move was made in 1986 to settle in Casterton, a western Victorian town, with a rich pastoral heritage. 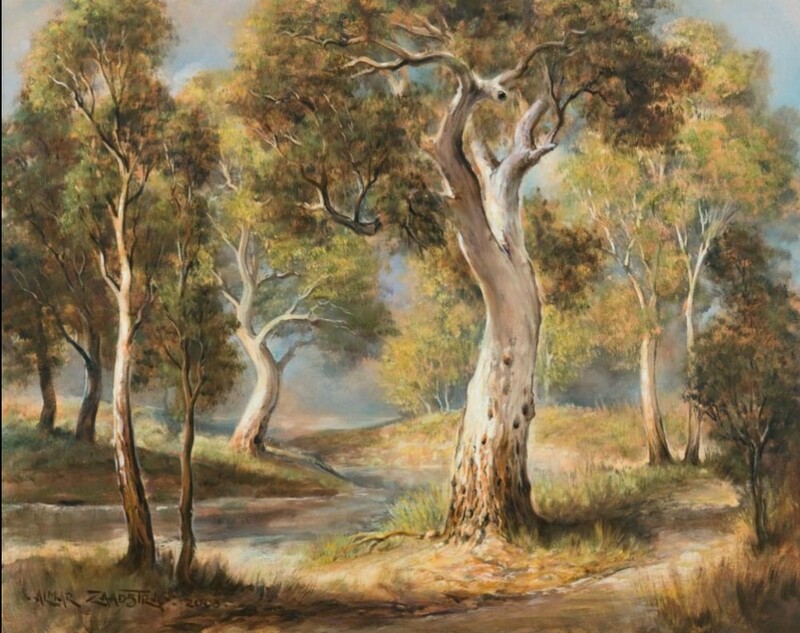 Here, the life and scenery, rivers and redgums, have proven to be a rich source of inspiration. 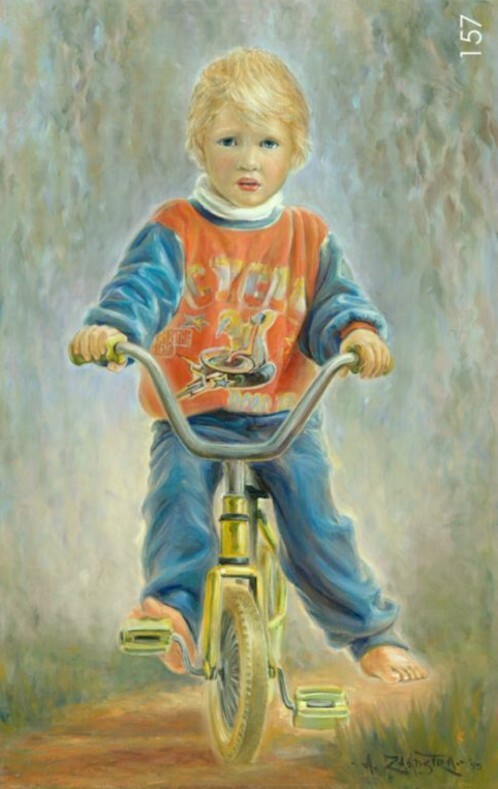 Together, Judith and Almar steadily built a home, had four children and established a studiogallery, full of freshly created paintings. 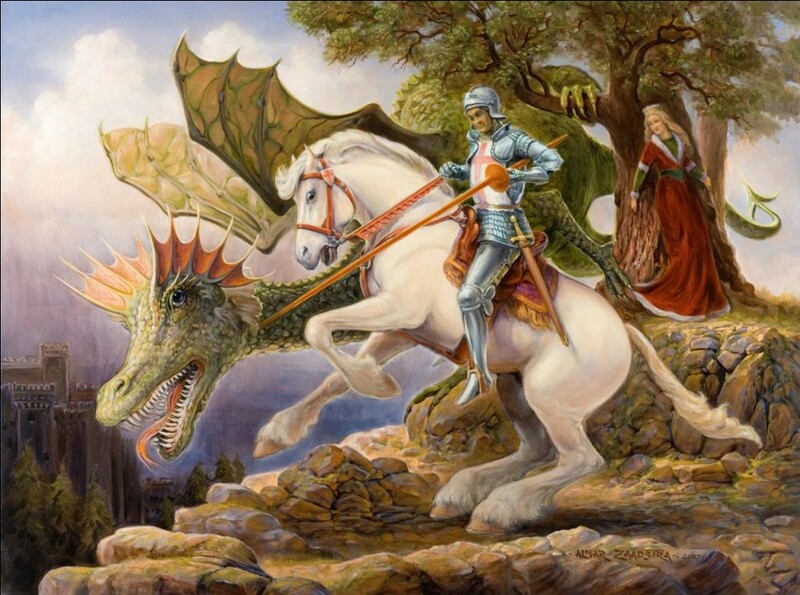 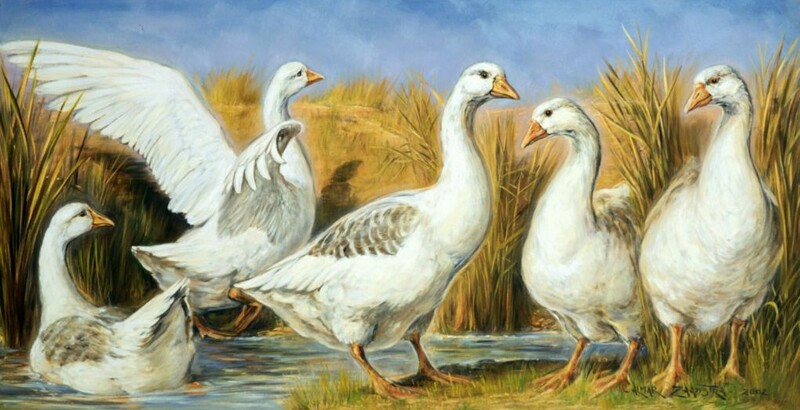 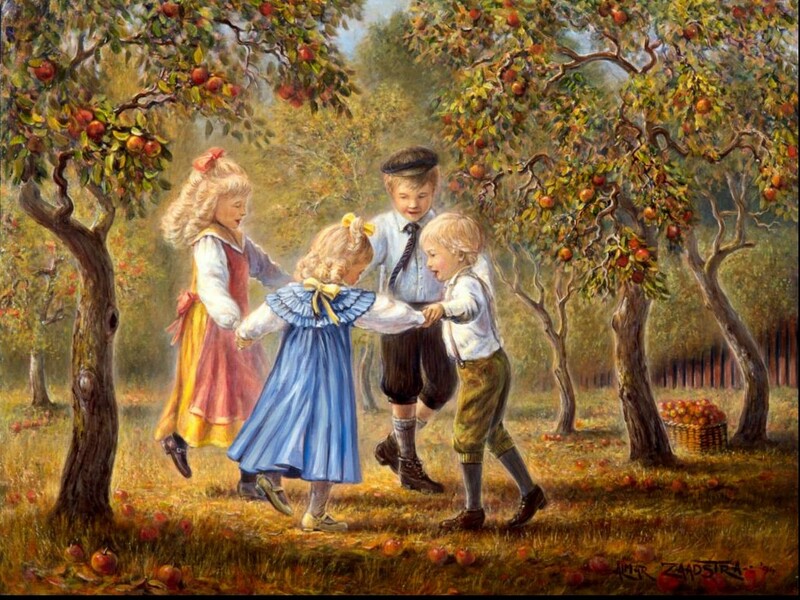 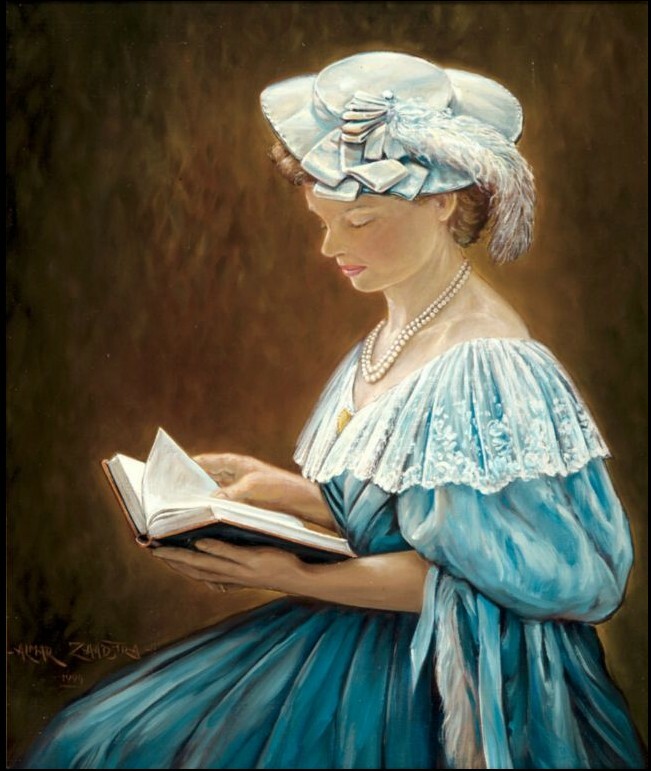 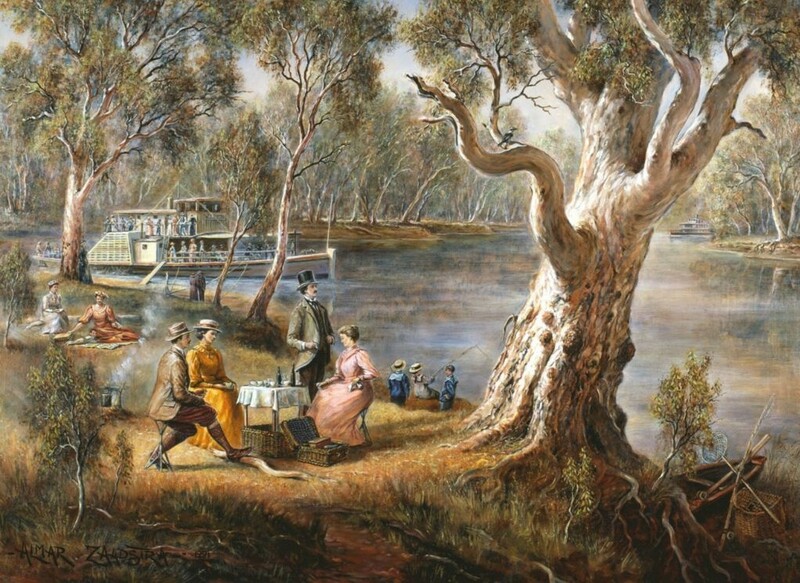 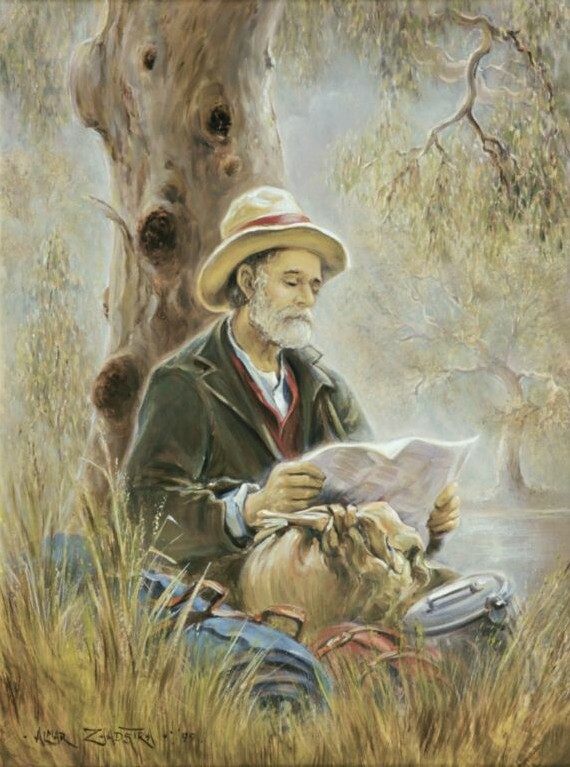 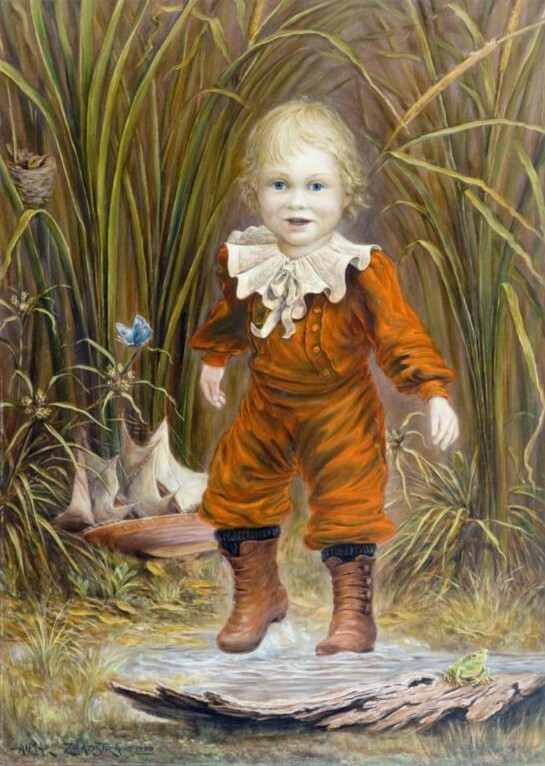 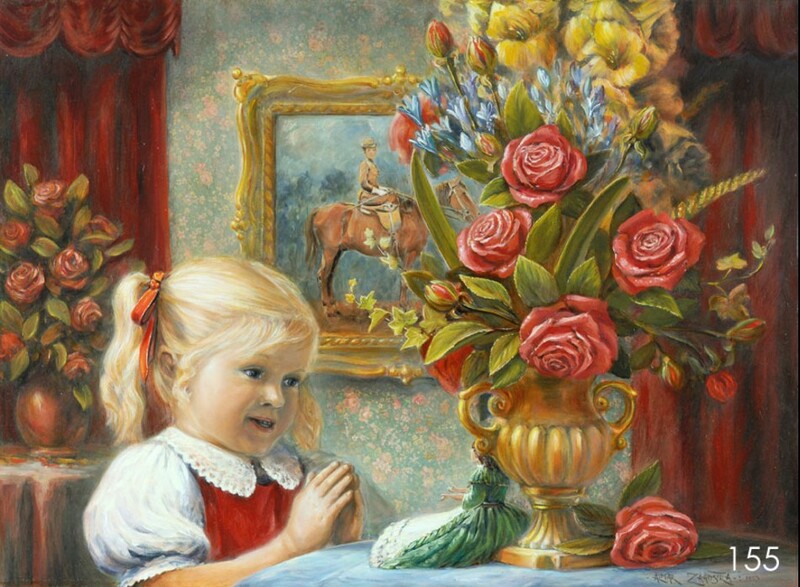 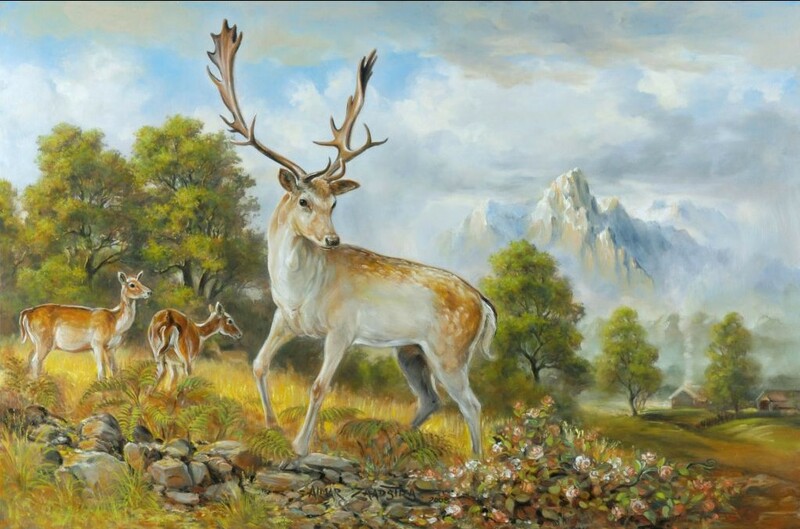 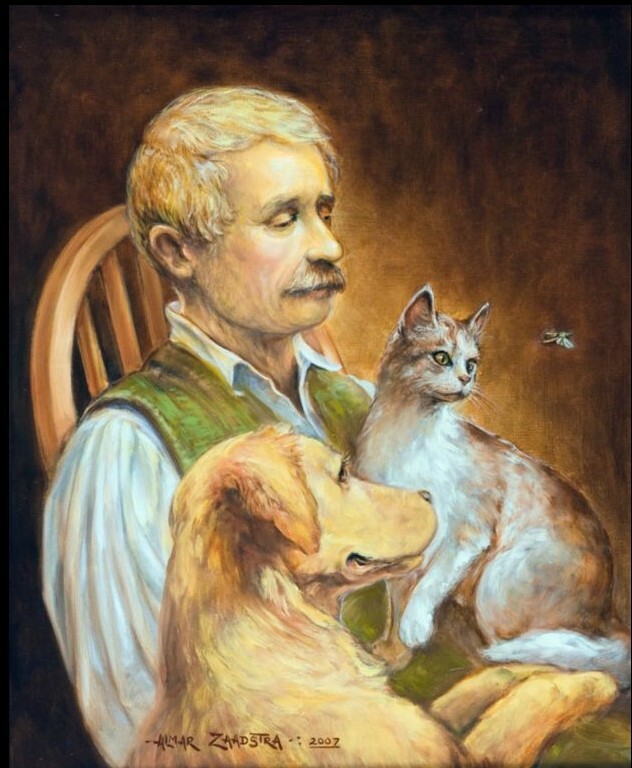 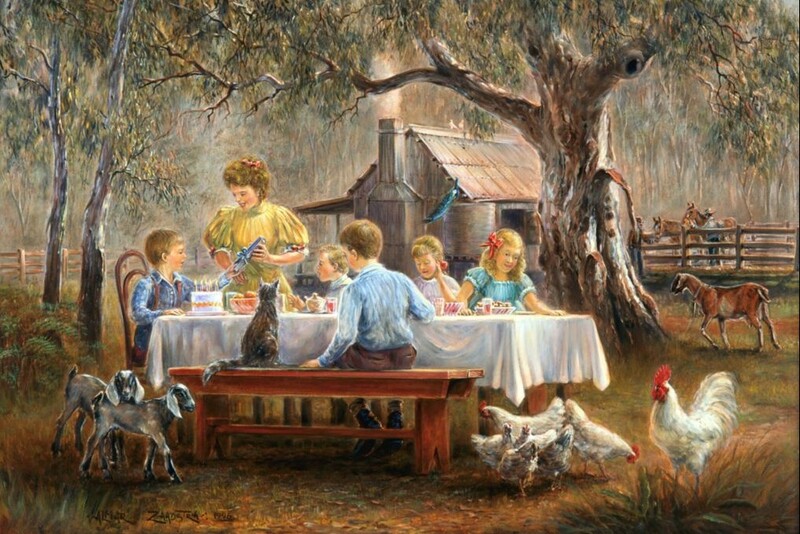 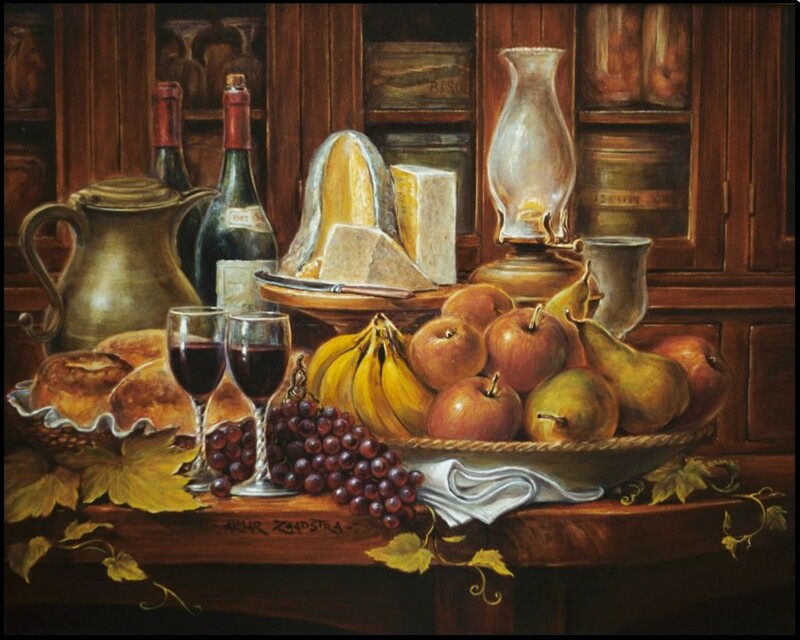 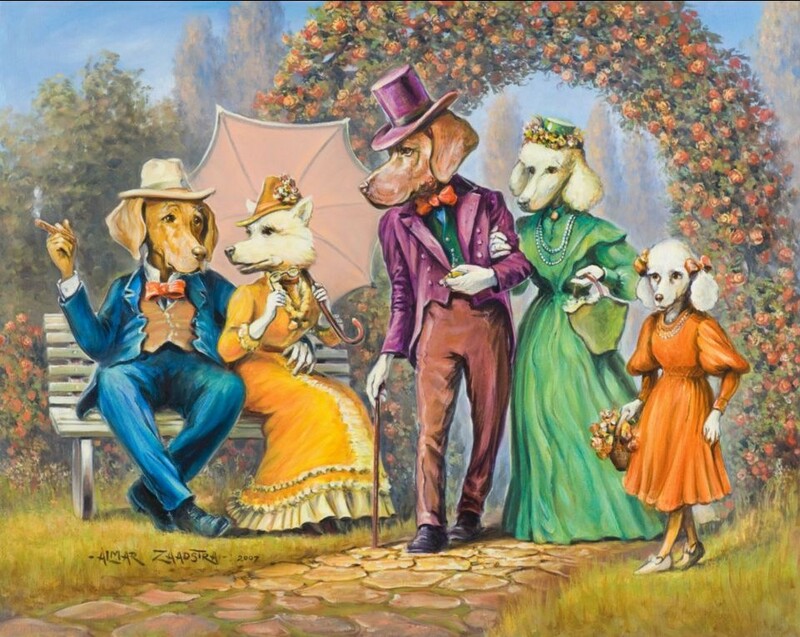 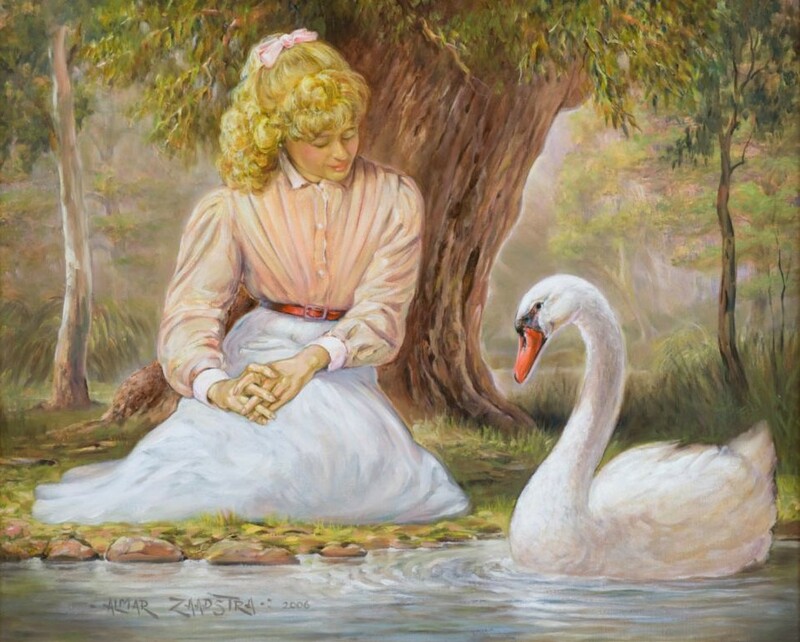 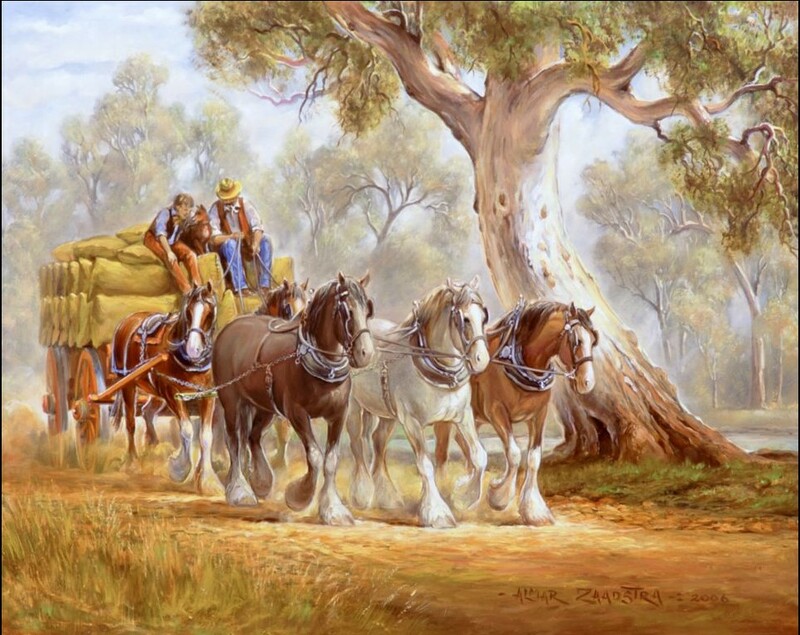 Working with oils on canvas, talented artist Almar Zaadstra has been painting Australian history since 1980. 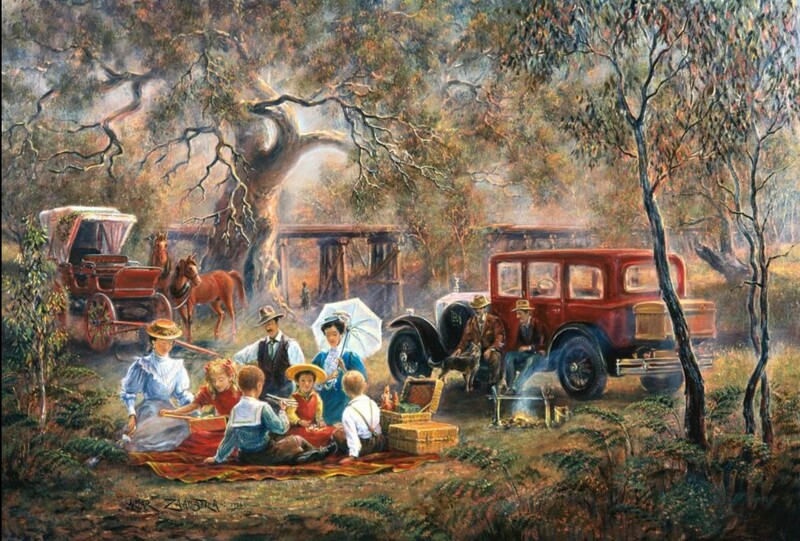 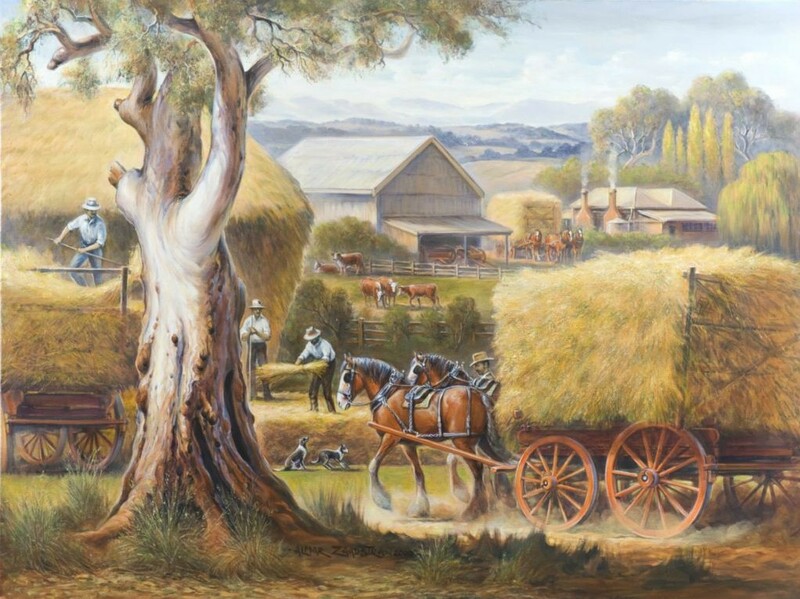 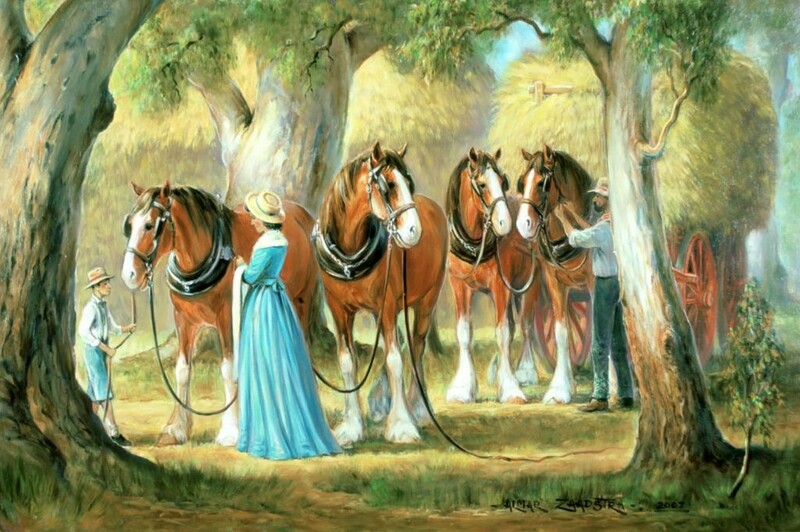 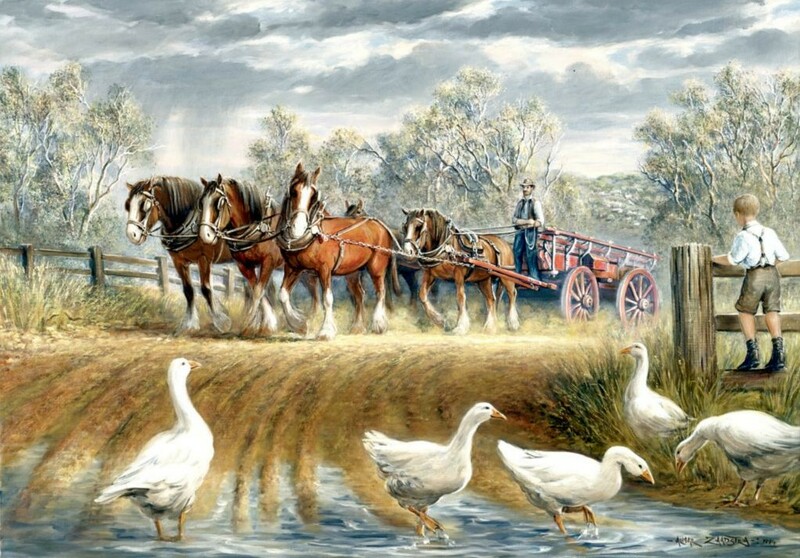 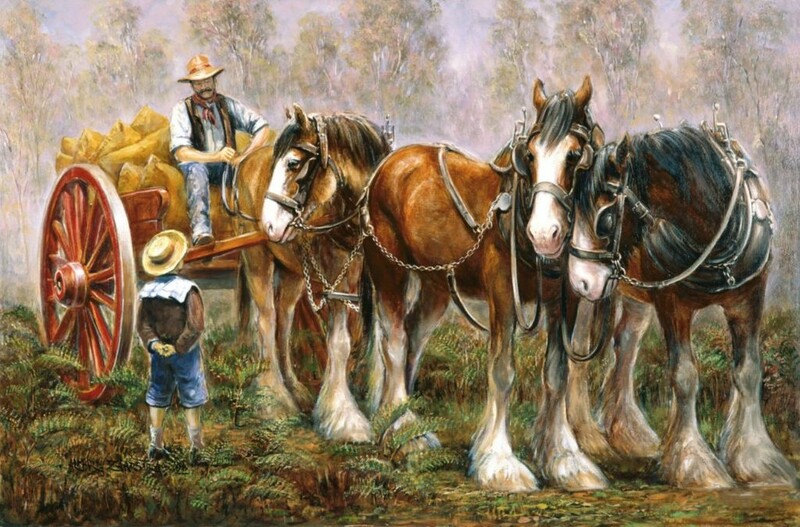 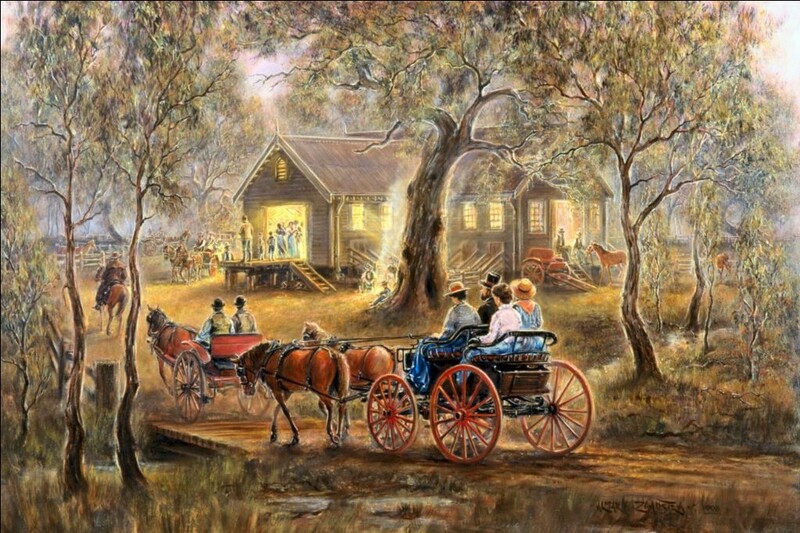 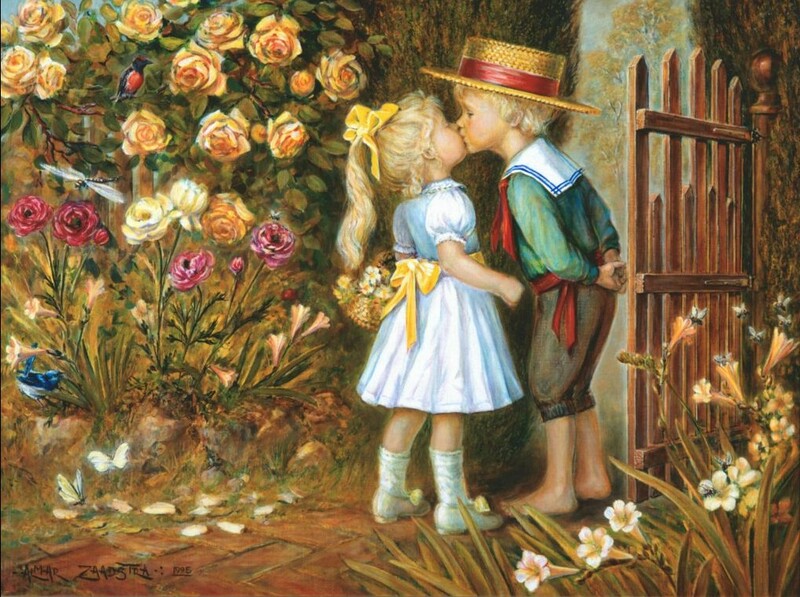 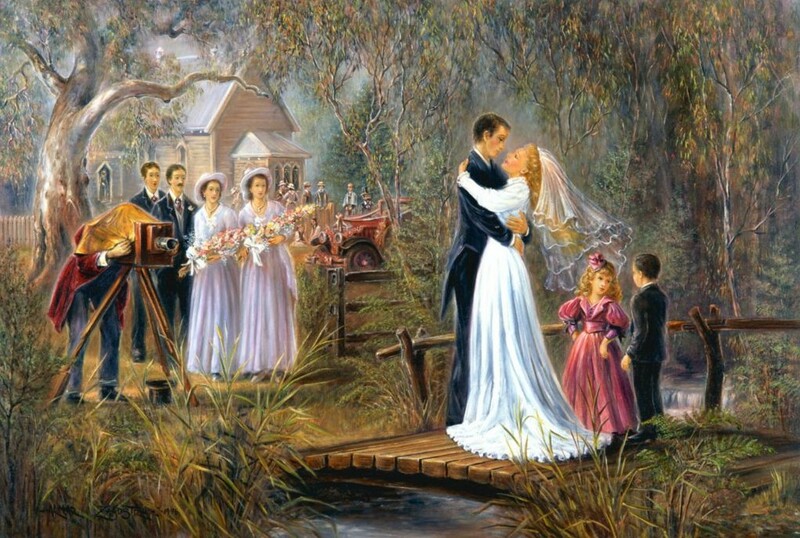 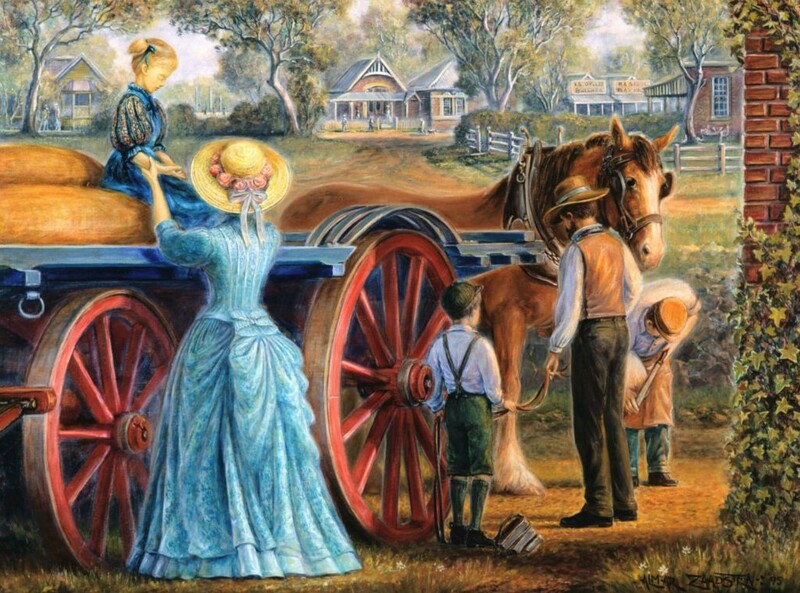 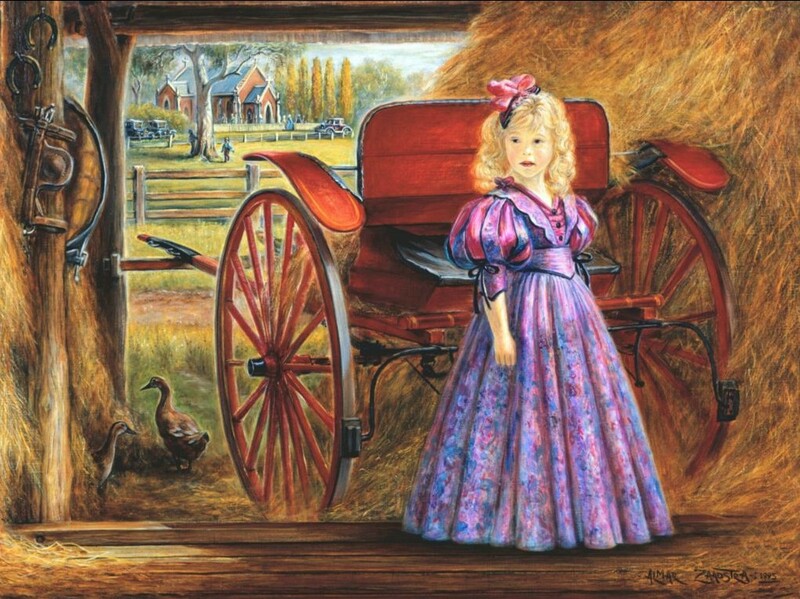 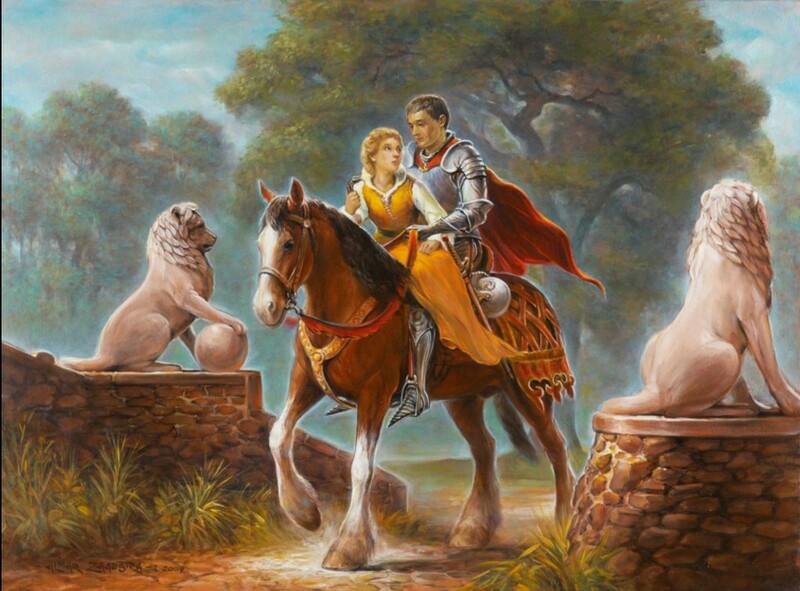 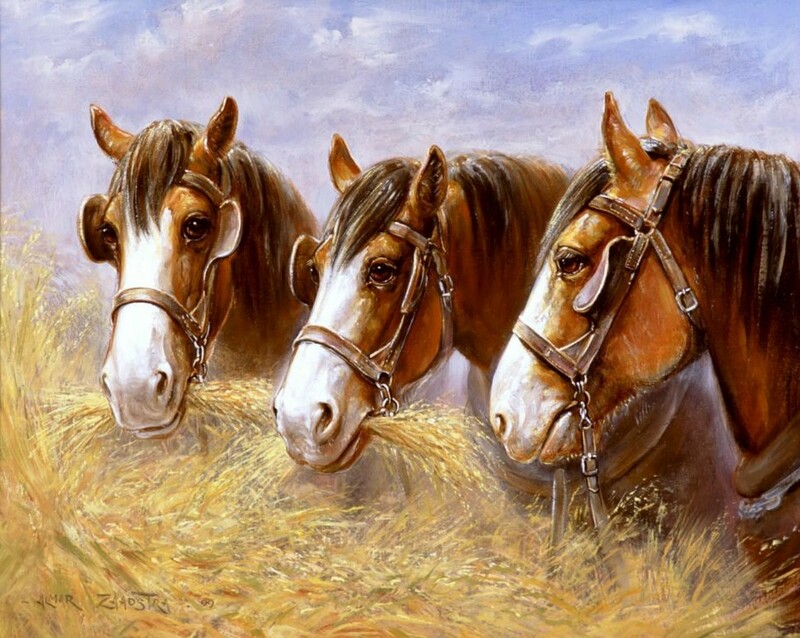 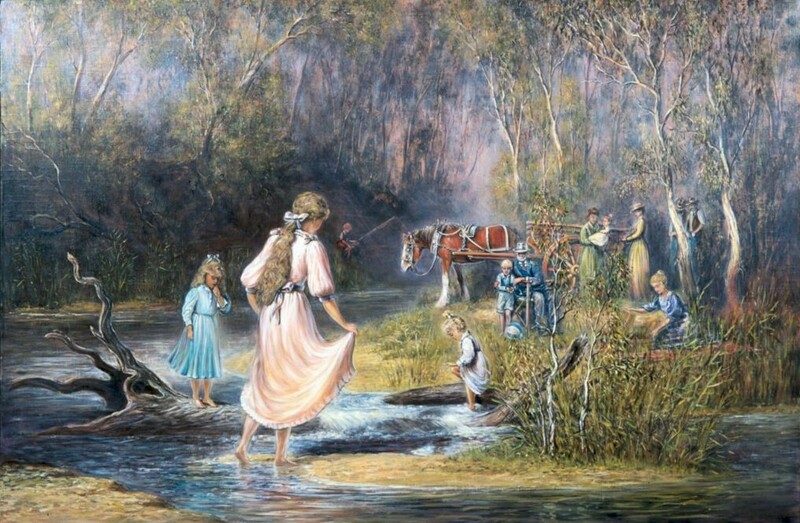 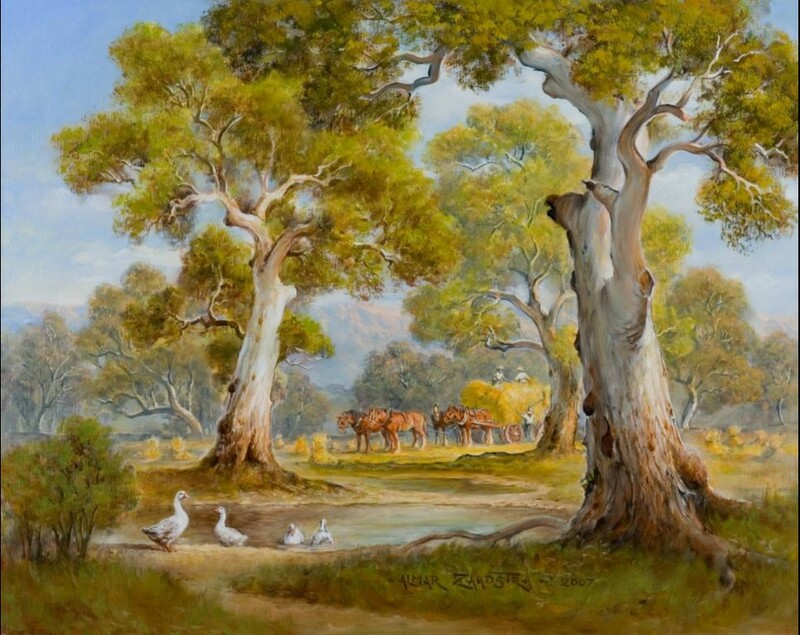 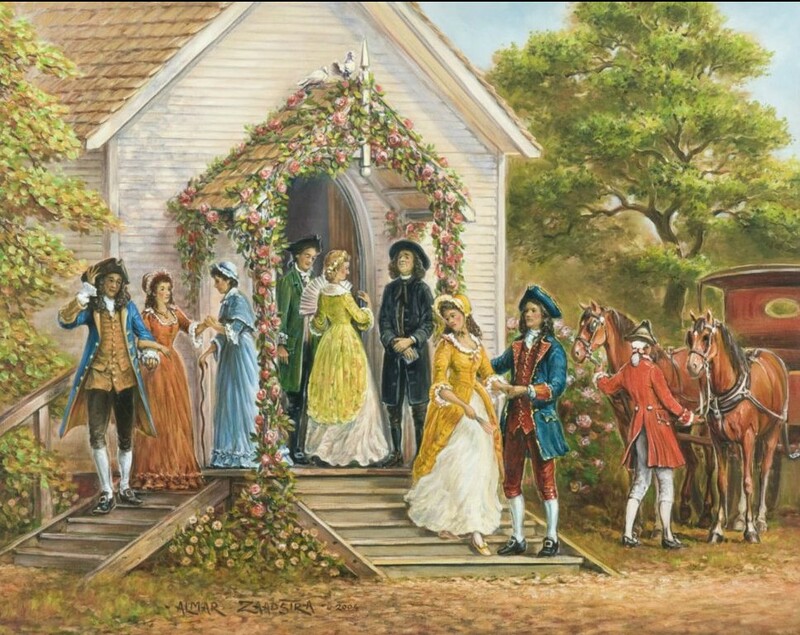 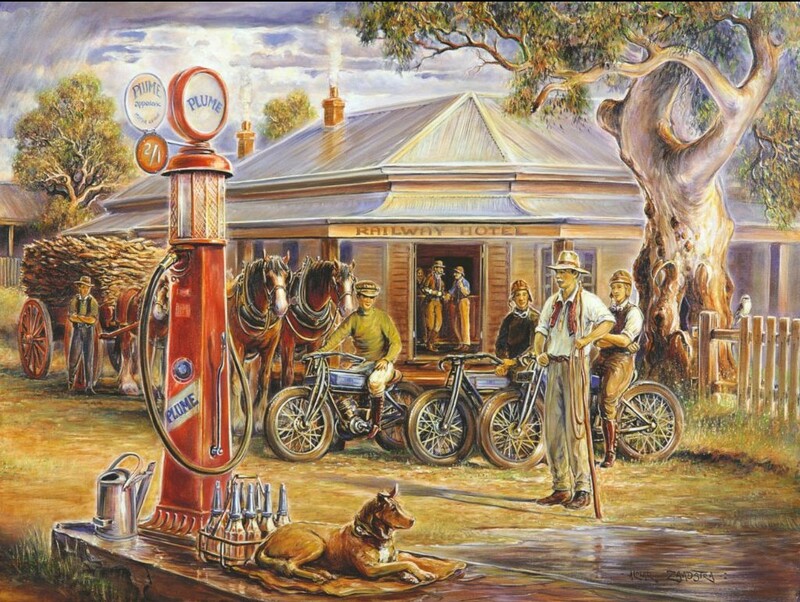 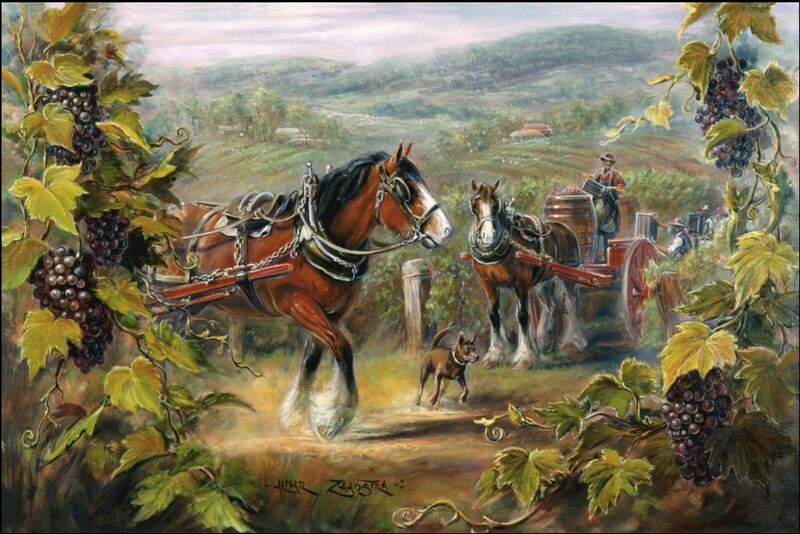 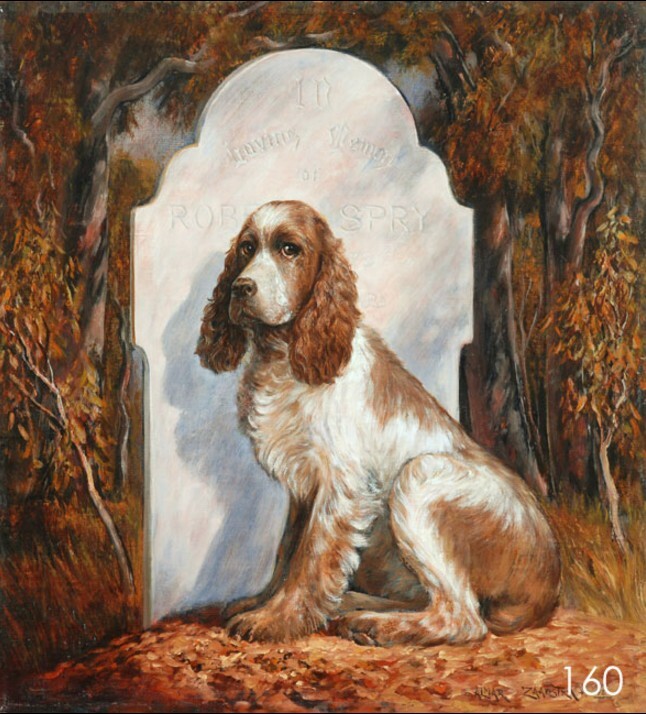 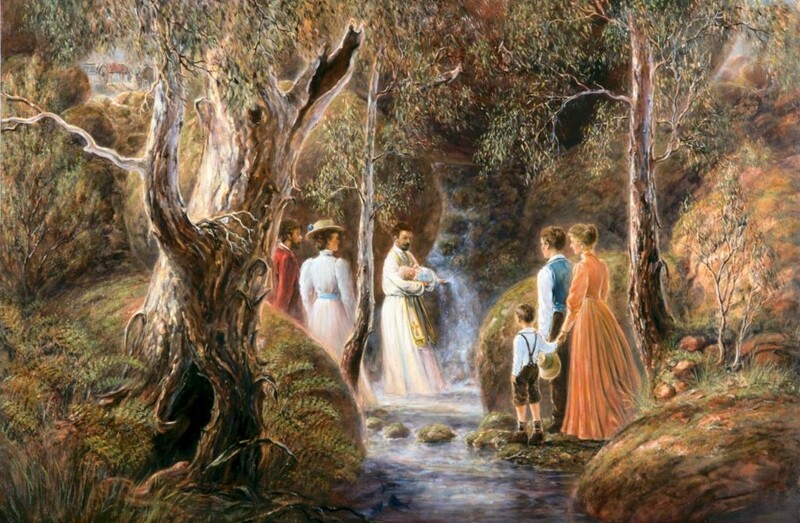 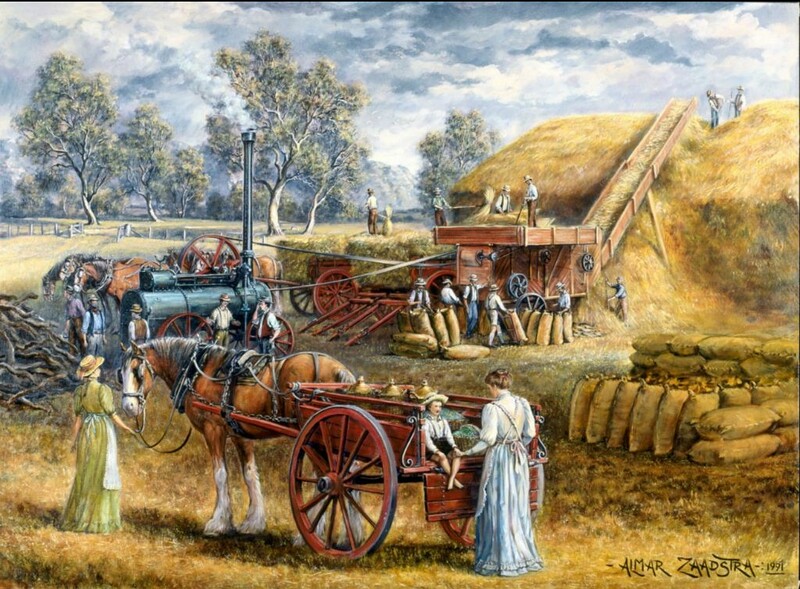 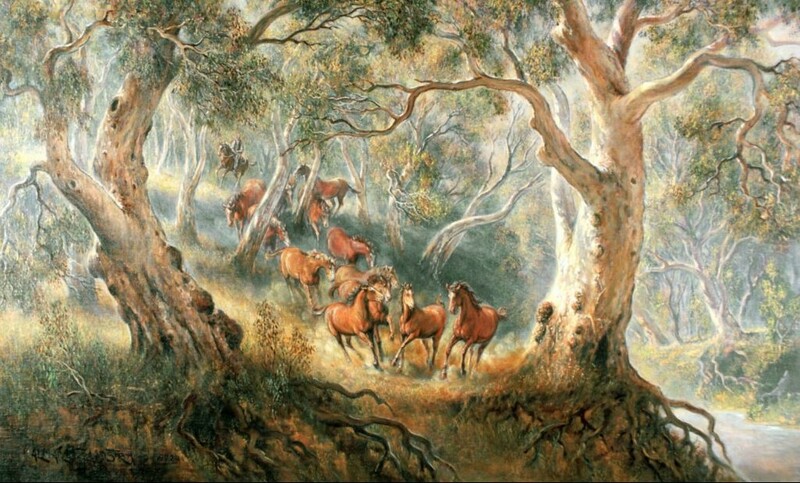 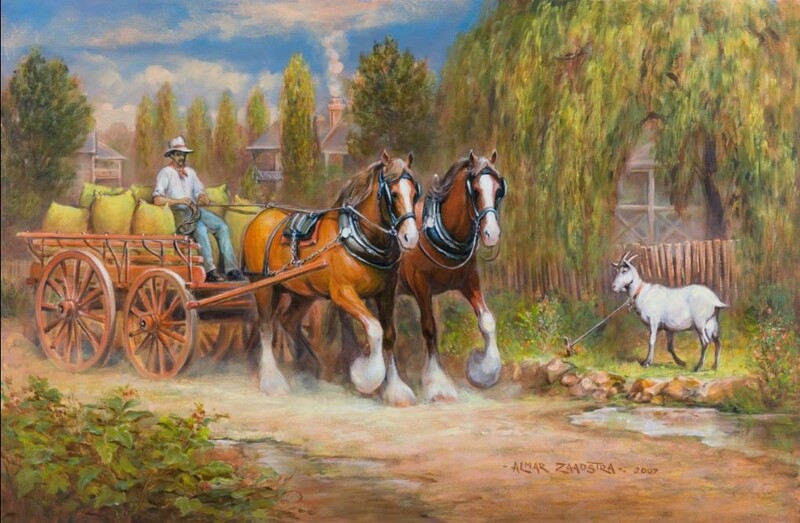 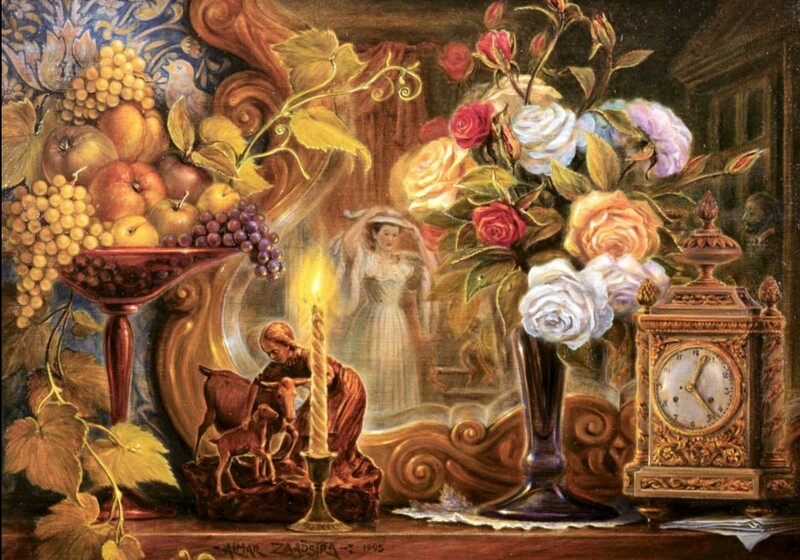 His love of the traditions and romance of pioneering Australia presents itself in the fine detail of his art, which accurately depicts the farming practices, the costumes of the era and the wonderful, hardworking Clydesdale horses. 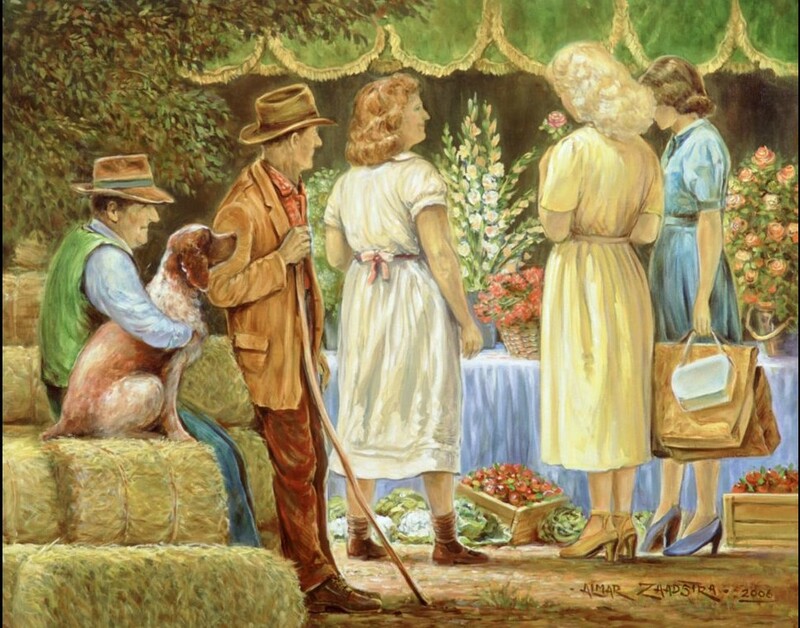 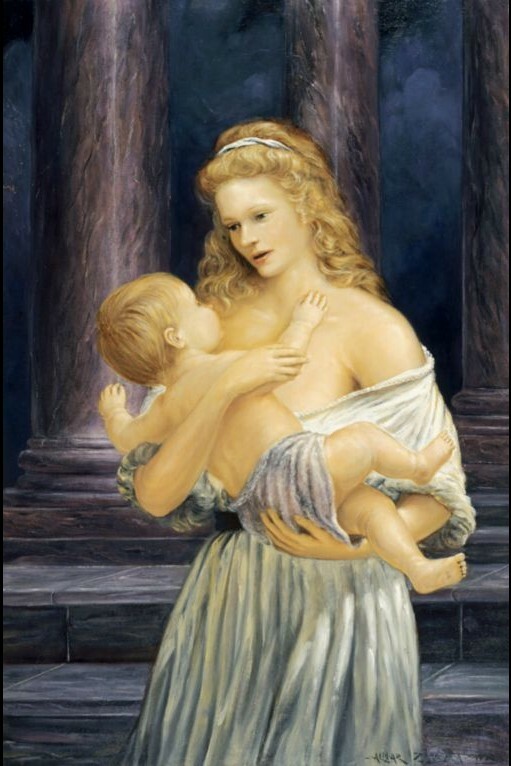 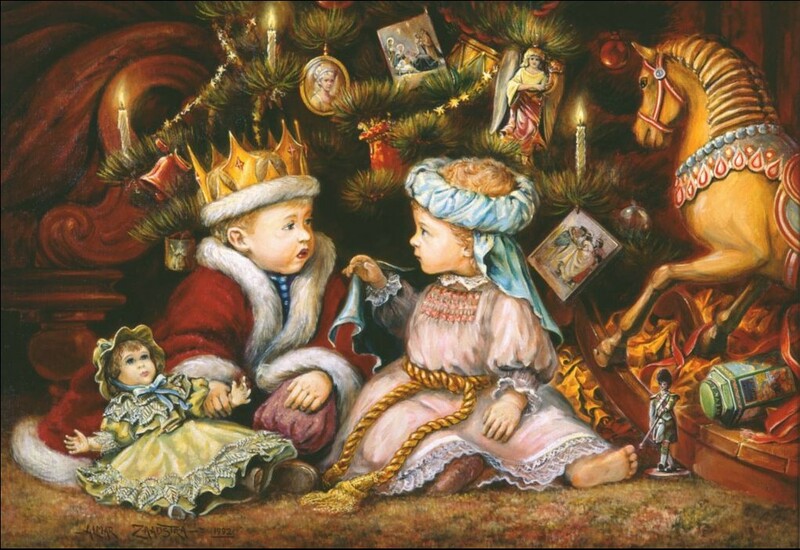 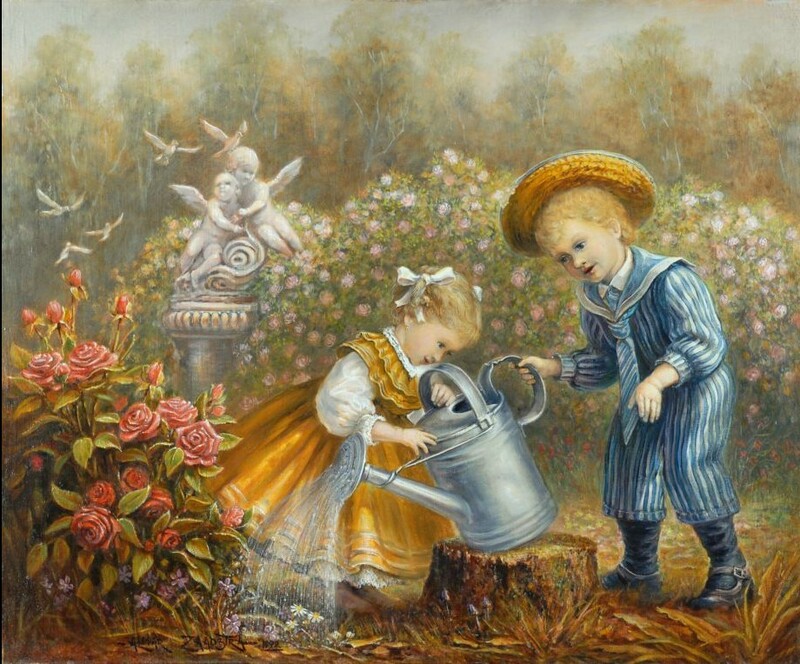 This detail gives great realism and authenticity to the nostalgic images. 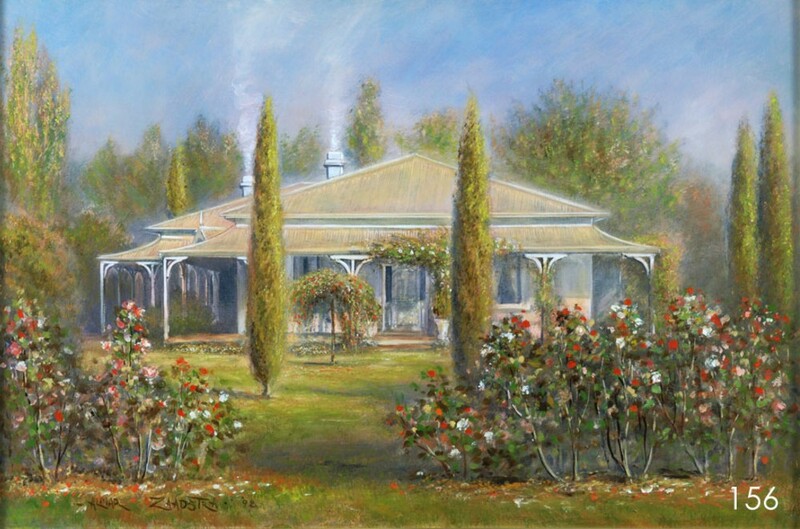 Almar derives much of his inspiration from the undulating countryside around Casterton, Victoria, where he has lived since 1985.